Businesses have asked UK politicians to ‘get a grip on Brexit’, amid continued uncertainty over the future relationship with the European Union, according to Reuters. 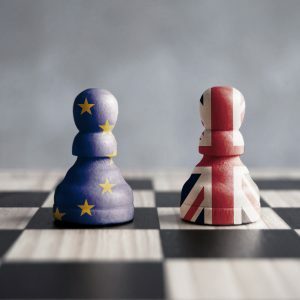 Businesses are stepping up preparations for the event of a no-deal exit while some large companies are setting up emergency rooms to deal with the chaos of leaving without adequate trade provisions. By law the UK is due to leave the EU on 29 March 2019, but there is as yet no agreement on the terms of leaving will be. In a parliamentary vote, MPs rejected the withdrawal agreement negotiated by Prime Minister Theresa May. Leaving the EU without a deal could result in ports facing significant delays, damage to supply chains and shockwaves in financial markets. Possible resolutions to the crisis include a no-deal Brexit, a last-minute agreement on an amended deal, a delay, a fresh general election or a referendum re-opening the question of Brexit altogether.